Teddy Boy is sponsored by the Hand Models of America. In order to play the blues, you have to become the blues. You have to let the painful experiences of your life guide your hands across your instrument. You have to let every wretched memory inform the notes that carry you to catharsis. Teddy Boy? He’s got problems, but between you and me, he’s just a boy with a lower-case ‘b.’ Boys have traumatic experiences, sure, but they won’t be able to process them until they’ve got thinning hair and unrelenting stomach fat. Teddy Boy’s instrument of choice – a Tommy gun of some kind – sings well enough, but it’s informed by youthful aggression, not decades worth of poor life decisions. So Teddy Boy: he’s got his Tommy gun and a helluva jump. He’s stuck in these creepy looping mazes, filled with barbaric toy demons come to life. The demons want Teddy Boy’s blood, as demons are wont. They emerge from fluffy dice that count down from 6 to 1 before finally disappearing. Teddy Boy’s gun makes short work of them. Once shot, they shrink down to miniature collectible size; the perfect size for storing bonus points. Shoot/collect all the shrinky demons, then move on to the next nightmare. Look Teddy, get that gun out of my face. I just want to know what’s goin’ on! There’s very little structure to Teddy Boy’s antics – an observation, more than a criticism. The demons bounce around mindlessly, waiting for Teddy Boy to shoot through blue barriers before seeking his flesh. The looping levels are disorienting, and do an excellent job at making one believe Teddy Boy and his blues have more depth than they really do. Like I stated earlier, Teddy Boy’s got problems, but can’t-stop-the-ache, low-down-dirty blues? I think not. Teddy Boy’s Blues is a made-for-TV fantasy movie filtered through a child’s vivid imagination. 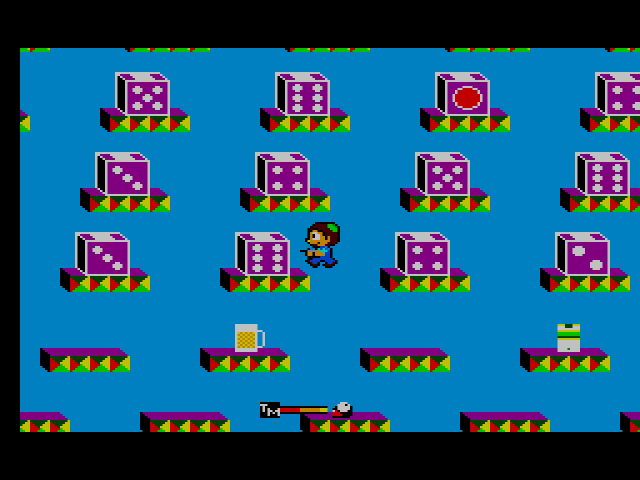 Teddy Boy’s Blues also happens to be one of the first Mark III games. While I’d like to say there’s a world of difference between this game, and the what-felt-like-thousands of SG-1000 games I played, the only difference of note would be the sharper, more colorful graphics (not a surprise, given the Mark III’s expanded color palette) and the surprisingly catchy music that sounds like it inspired some tracks in the Mega Man series. Gameplay-wise, Teddy Boy Blues is simplistic and would have fit right in with the rest of the SG-1000 library. The jaunty soundtrack, Teddy Boy, his blues or lack thereof: none of it adds up at all. Further investigation reveals that 80s Japanese pop star, Yohko Ishino, lent her name, face, and song, “Teddy Boy Blues” to Sega to promote the game. The game’s soundtrack is singularly comprised of Ishino’s song on repeat. And hachi machi, is it ever catchy, both in-game and live. Ishino might struggle to hit some notes (I guess that’s why they call it the blues), but that saxophone rips. it. up. It’s nearly as compelling as the one in George Michael’s “Careless Whisper,” but you didn’t hear that from me. Teddy Boy Blues was also released on the Master System as Teddy Boy in different regions, with the only difference being the main theme song. Yohko Ishino and her amazing 8-bit rendered orchestra remained behind in Japan, replaced by a more traditional arcade tune – not terrible, but also not nearly as memorable. A pox on those God-forsaken alarm clocks! 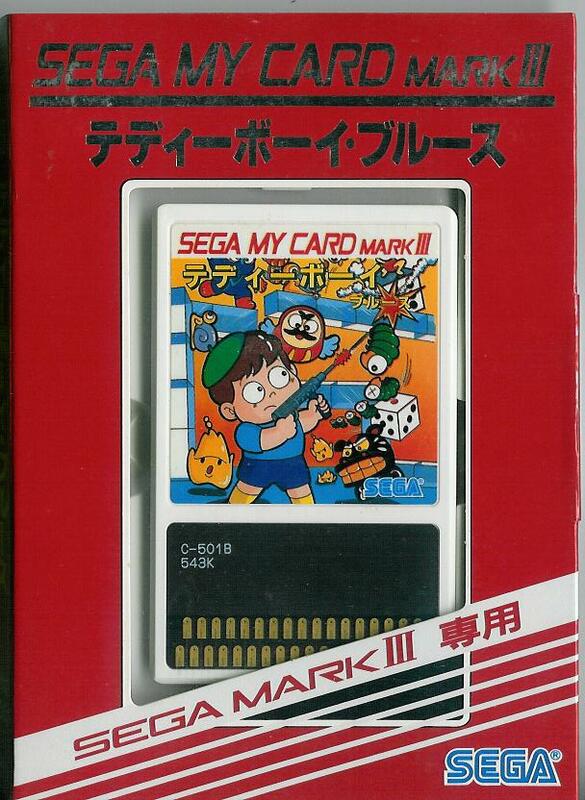 But Sega didn’t let Teddy Boy and his melting subconscious rest on the Mark III/Master System, oh no. Sega released a port of Teddy Boy Blues on the Mega Drive for their Japan-only Game Toshokan. 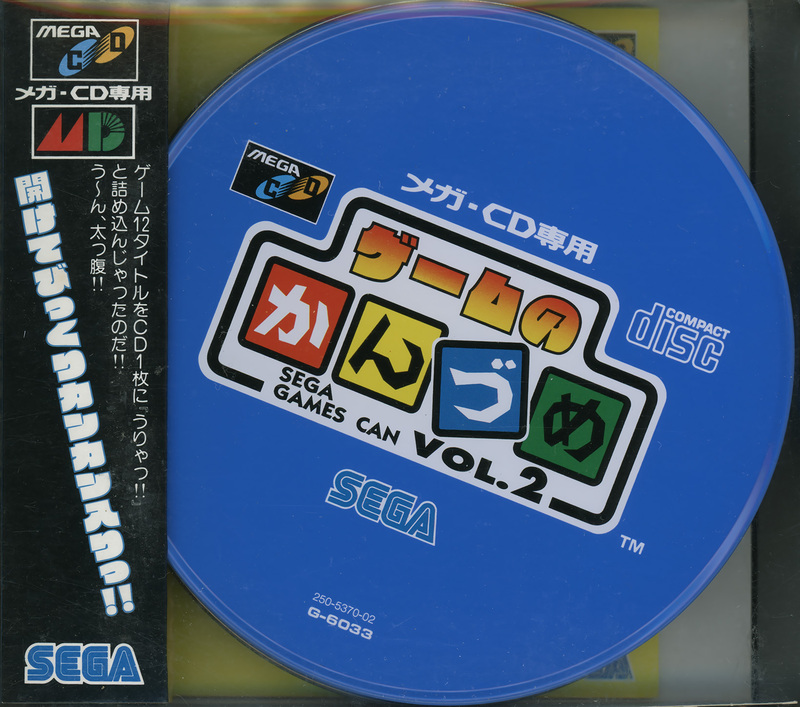 The Game Toshokan service was a precursor to the Sega Channel, and allowed Japanese Mega Drive owners the chance to play and download free games exclusive to the service – as long as you had a Sega-licensed Mega Modem and a special cartridge plugged into the Genesis. The service itself was unbelievably forward-thinking for 1991, but the 16-bit Teddy Boy Blues leaves much to be desired. 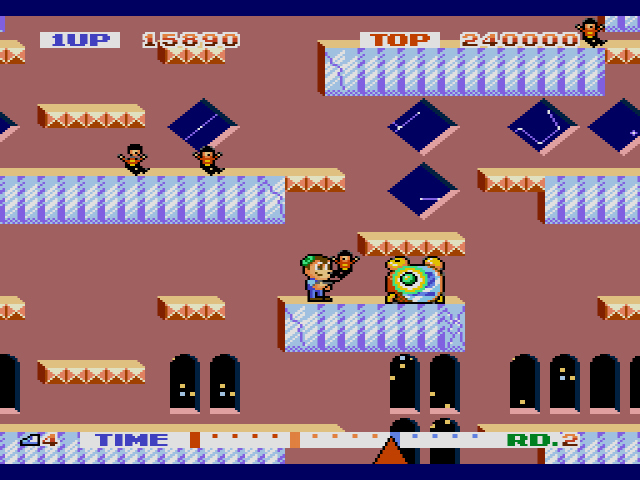 The graphics have been upgraded to Mega levels of quality, and some of the level design and characters have changed completely. The music, however, has been replaced with… nothing; only the sound effects remain. Isolated sound effects aren’t always a bad thing. After all, grimy, metallic noises are some of the Mega Drive’s bread and butter. But for whatever reason, the fluffy dice that spits out enemies have been replaced by annoying alarm clocks. Every time the clock counts down a number, the alarm goes off and shatters my mind. Are the letters made of pizza? The Teddy Boy train rolled on into 1992. Not with a sequel, but with a bizarre Mega-CD port that came stuffed onto a Japanese-only music album. “SING!! Sega Game Music presented by B.B. 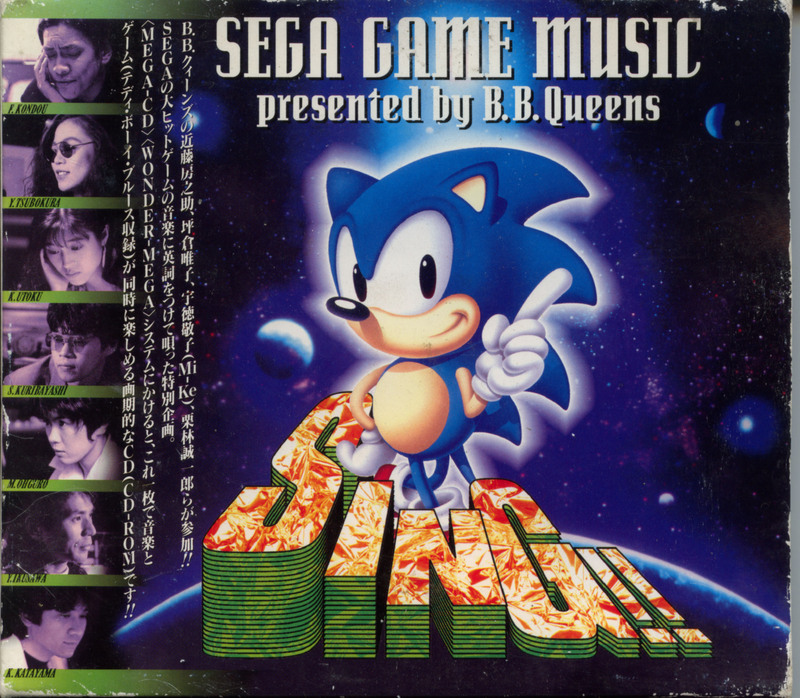 Queens” is a Sega tribute album that includes exclusive Sega theme covers by the Japanese pop band, B.B. Queens. The album itself is available to listen to on Youtube, and it’s, uh… wow. The Japanese singers croon painful English lyrics “inspired” by different Sega games, like OutRun, After Burner and Teddy Boy Blues among others. I’m being polite when I say the synth-heavy, loud guitar music is dated now, and was likely dated upon its release in ’92. If you’re not strong enough to click the Youtube link, imagine Michael Bolton and Guns ‘n Roses conceived a Japanese love child several years prior to its actual birth, and that the child, once born, liked to play Sega games. The Teddy Boy Blues port can be played by putting the SING!! CD into a Mega-CD Drive and pressing “CD-Rom.” It’s exactly the same game as the Mega Drive version, but with B.B. Queens music to guide your surreal journey. Truthfully, given the strangeness of Teddy Boy Blues, the Mega CD port with B.B. Queens music is probably the quintessential version. There’s nothing like gunning down peppermints while “I Fight (FIRE WITH FIRE)” plays in the background to psych you out before bedtime. Sega, please put more than two seconds of effort into your game covers. Sincerely, everyone. There’s actually another Mega CD port of Teddy Boy Blues found on the Game Toshokan compilation, Game no Kanzume Vol. 2 (cover pictured above). Because it’s a Game Toshokan port of the Genesis version, however, the isolated sound effects return. And who wants to deal with annoying alarm clocks when you could be navigating loops at the “Speed of Love“? For as interesting as Teddy Boy Blues‘ history is, the game itself is less deep blues, more elevator jazz: there’s art to both, I suppose, but the latter is sterile, while the former carries weight and purpose. I like Japanese madness as much as the next gamer, but behind Teddy Boy’s ceaseless smile and jaunty beret is a character with very little to do. Perhaps Sega meant him as a potential mascot, perhaps not. All I know is, Sega developed Alex Kidd a short time later and Teddy Boy was relegated to compilation status. Thirty years later, a sequel is nowhere to be seen, and Teddy Boy’s gotta be pushing middle-age. Now that‘s blues-worthy. (Grades based solely on music or lack thereof. Gameplay is the same in all versions). Kudos on writing a great article on what seems like not that great of a game! A possible point of interest: Teddy boys were actually the British version of greasers and from what I’ve read, they were pretty rough. I’m guessing that’s what Ishino’s song is about? Maybe she’s singing about being in love with one. Greasers DO get all the chicks, so you might be on to something there. Wow. For a game I’ve never played, or thought much about, you wrote an awesome review. I guess getting the card version only in the US with different music was underwhelming. This was really in depth with lots of links. I’ll admit, this was a fun review to write. Thanks! I had fun clicking all those links. Oh man that Sega songs soundtrack. It like awful and wonderful at the same time. I have to say I hand a fondness for the song that they did to the Outrun credit entry theme. 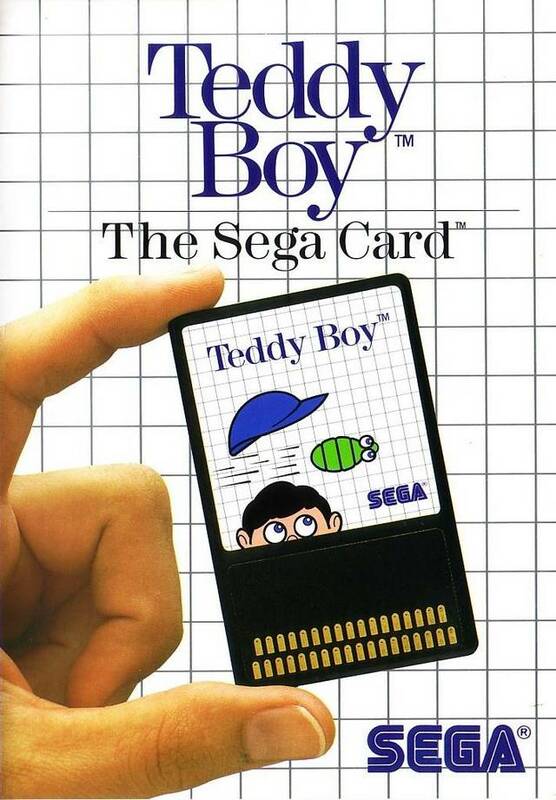 Don’t know why, nostalgia or other bizarre taste I have, but Teddy Boy is one of my favorite Master System game ! Getting to level 15 is a pain !! In Sega-16’s review of this game (Mega Drive version), they said that the arcade version was a pretty big hit in Japan (mostly due to the Yohko Ishino tie-in). This probably explains why Sega chose to release this simplistic little maze game as a launch title for their new system. Quality arcade ports always seemed to be one of Sega’s big selling points through all of their systems. Oh man, that first picture with the dice really seems like a headache-inducing optical illusion when you scroll down the page. My initial thought on this when I reviewed it was that it was going to be fun but it quickly became repetitive and my interest turned to frustration. I think this was one of the last of the 1980s games that are just there for point scoring. Gaming was moving on from that by the time of the SMS. Yeah, I was excited about it at first, but it gets old pretty quickly.